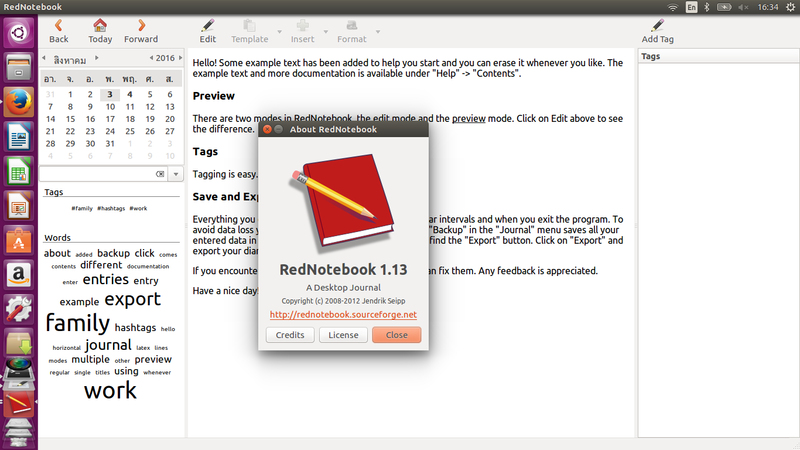 RedNotebook is a journal app, with calendar support. Among others, it allows the users to add tags, use bold and italic characters, has support for images, spell check features, automatic saving and backup functions, and many others. 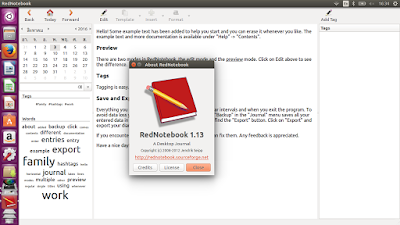 The latest version available is RedNotebook 1.13, which has been released recently, coming with changes. When selecting a journal directory, show all journal directories by default (thanks Paul Jackson). Allow ampersands in e-mail addresses (lp:1570476, thanks pdofak). python-gtkspell has been renamed to python-gtkspellcheck. Update docs and debian/control accordingly.